Christopher Timmons is to be given community service in lieu of a jail sentence. 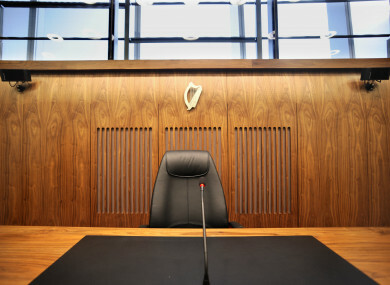 A DUBLIN JOCKEY who punched a taxi driver in the face and tried to gouge his eye out is to be given community service in lieu of a jail sentence. Christopher Timmons (29) pleaded guilty at Dublin Circuit Criminal Court to assault causing harm at Morehampton Rd, Donnybrook on the night of 24 July 2016. Timmons, with an address at The Pines, Castleknock, Dublin, penned a letter to the court saying he was “horrified” by his own actions, especially as both of his grandfathers had worked as taxi-drivers. Timmons said he no longer drinks alcohol. He brought the sum of €3,950 to court to cover the financial losses suffered by the taxi-driver as a result of the assault. At the sentence hearing today, Judge Karen O’Connor ordered that a report be prepared to see if Timmons was suitable for community service. She said that pending the outcome of the report, due in April, she will sentence Timmons to 200 hours of community service in lieu of 18 months in prison. Judge O’Connor said that although Timmons had displayed violent and aggressive behaviour, she felt he would be more useful to society carrying out service rather than in custody. The court heard that Timmons had hailed a cab on the night and there was “some confusion” over the fare in respect of another person who was already in the taxi. The taxi driver told gardaí that Timmons became very aggressive, slammed the passenger-door, punched the roof of the car and kicked the side door. The driver then got out of the taxi and asked Timmons what he thought he was doing to him, before walking back towards his car. Timmons then grabbed him from behind by his shirt, punched him in the face and was trying to “gouge his eye out” with his fingers, the court heard. Timmons then left the scene and walked towards Morehampton Road. A victim impact report prepared by the injured taxi-driver said he suffered a financial loss of €3,941 and had since changed his job and had become a bus-driver. The court heard that Timmons has one previous minor conviction. He has completed a third level degree, works as a jockey and is now addressing his alcohol issues. Judge O’Connor said testimonials on behalf of Timmons suggested that this was “out-of-character” behaviour. She said Timmons was clearly a talented jockey with an impressive employment record, who had shown remorse and cooperated with gardaí. The matter will return to court for finalisation on 13 April. Comments are closed as case remains before the courts. Email “Jockey tried to gouge out taxi driver's eye after 'some confusion' over fare”. Feedback on “Jockey tried to gouge out taxi driver's eye after 'some confusion' over fare”.